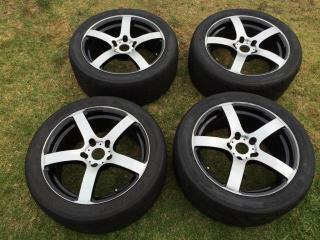 Set (4 wheels) of 5 spoke shadow black DW7567 alloy wheels 17x8JJ 5/120 suit Holden Commodore (VX to VZ series). 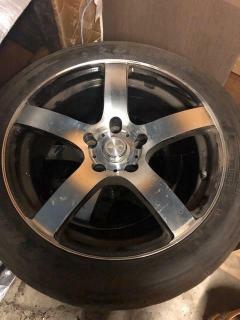 No gutter rash, polished face has minor surface marks. 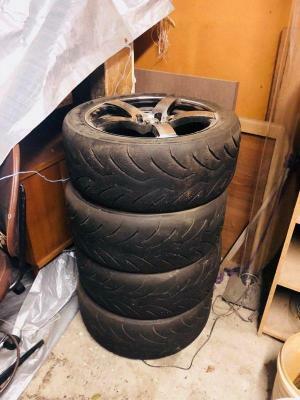 Come fitted with Dunlop Direzza DZ03G Tyres (worn).